When I walked into Sephora in Montreal a while ago, Too Faced was just celebrating it’s 20th birthdays as a girlish, fun and innovative cruelty-free luxury brand, and as I have been happily using the Lip Injection Plumping Lip Gloss (see end of post) for a while, I was easily convinced by the friendly representative to take a closer look at their other products. 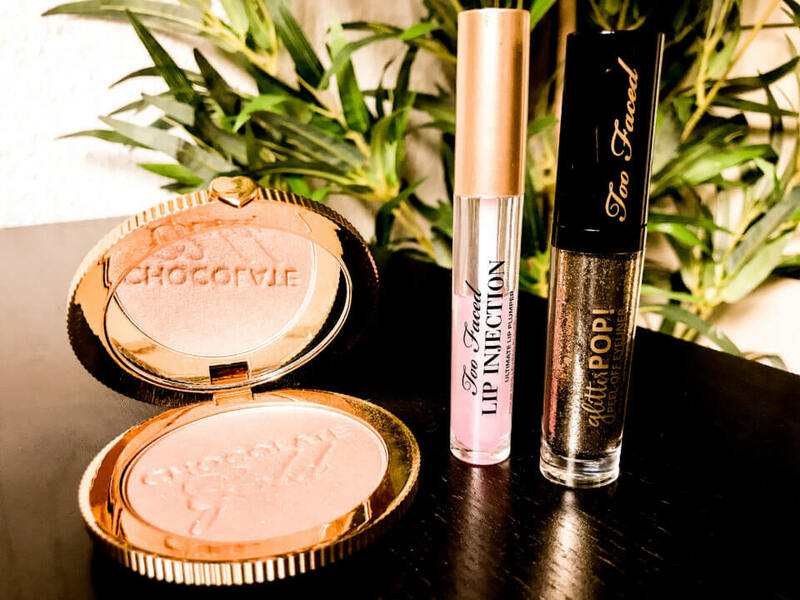 Unfortunately not all of Too Faced’s products are vegan. But you can easily find out which ones are on their website in the product description and Sephora has free wi-fi, so I tried a couple of nice things and ended up buying two vegan products, eyeliner and bronzer, which have now quickly became my absolute favourites. Can’t wait to use them when I get up in the morning! 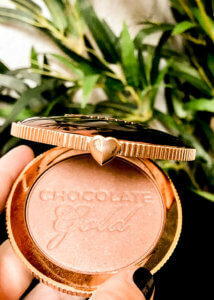 This bronzer contains real gold and cocoa powder and gives cheekbones, jawline, hairline, collarbones, shoulders and décolletage a shimmering sun kissed look for many hours. And it really smells of chocolate! You can find more information on the product and watch a video on how it is best applied on their website. 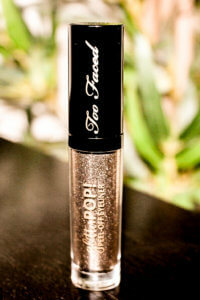 This lip gloss instantly makes my lips tingle and swell and turn pinkish. It gives a glossy tint that lasts quite a while and tastes fruity. 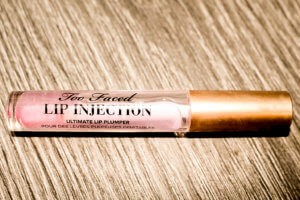 The company also just released Lip Injection Extreme, which I will try when this one is empty. 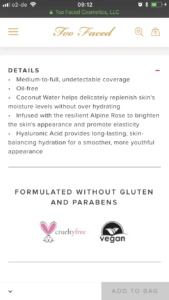 Be careful though, reading the reviews, I noticed that some customers report allergic reactions to the formula, maybe it would be good to try a little bit on your arm first if you’ve got sensitive skin. Available at Sephora and directly from Too Faced’s Website. The foundation and highlighter in the picture above are from Kat von D. You can have a look at my Kat von D post here. Do you like this post? You can pin it on pinterest by clicking on the red button.